This is almost the final post in this three week series on productivity. Previous posts have looked at everything from mission statements, decision-making methods for task prioritisation; and larger productivity systems like GTD; to time management, focus and passion. 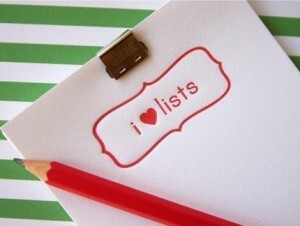 Today, we’re simply looking at lists. And what to do with them. When it comes down to it, much of the productivity methodologies and tips discussed over the previous three weeks of posts have ended up with the creation and use of a list of some form. Lists of actions, lists of goals, lists of to-do’s, lists of new ideas, lists of decision options…the list goes on (meh!). Idea Capture List – capture through an ubiquitous tool ie Evernote. Dumping ground for new ideas, brainstorming, mind mapping, before being stored or applied. If you do GTD, this idea capture daily may happen inside a GTD tool (there are many), or the 43 Folders or other paper-based approaches. Weekly task lists – what are you going to action? These lists should include your MIT priorities, project tasks, routine tasks and appointments. Tasks for the next week can be organised through a weekly review. Some people call these to-do’s. MITs – small daily list of most important tasks for that day. Of course, there are many other types – at the centre of GTD are context lists, for instance. Even the Pomodoro timing technique, discussed earlier has an action inventory list. And then there are the motivational or domestic lists – shopping lists, gratitude lists, wish lists… Oh, and checklists for processes that must be gone through step-by-step. Lists have taken the world by storm – hence lists being one of the top methods for writing a blog post (top ten anybody? ), and there are now companies marketing to this desire with journaling books and websites designed for list capture. You may have more or less types of lists, but those form a good basis. Most of the business of productivity sits around lists in some form. Lists help to make us more effective. But today we’re concentrating on a productivity-associated list – the task or to-do list. You will somehow, somewhere have this list of tasks or to-do’s that you have decided to do, to produce work effort toward some bigger ultimate task. The simple answer to what to do with a to-do or task list is to action the tasks on that list, to complete them. The harder answer is to do with TO-DO lists in the first place. 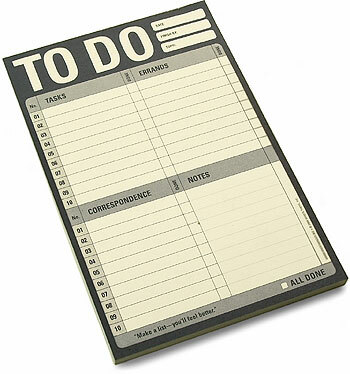 According to some authorities, to-do lists simply don’t work. It’s all to do with the complexity and lack of context – our to-do lists can include all sorts of tasks which can range from quick wins of only a few minutes (and I’d do those first too) and tasks which are important for a project, but take hours to complete. To-do lists are just a list of one short sentence maximum. They lack context with what they are for, how much time they will take, what levels of energy are required, and many more factors. All we really do with them is prioritise them. GTD offers methods for adding some context, and To-Do List apps and software also often allow the prioritisation and context within a project. But aside from deciding on the top tasks to do first thing, most to-do lists sit outside of scheduling or calendar apps. For those like me who don’t get on with a simple to-do list of checkbox items, there are several alternatives or supplementary systems for prioritisation. Some of these offer a framework which enforces you to cut down on your to-do lists. Remember the 80/20 rule. Could-Do List via author Samm Bennet. The could-do list includes factors like time estimate, expense, inclination and ROI against the task. 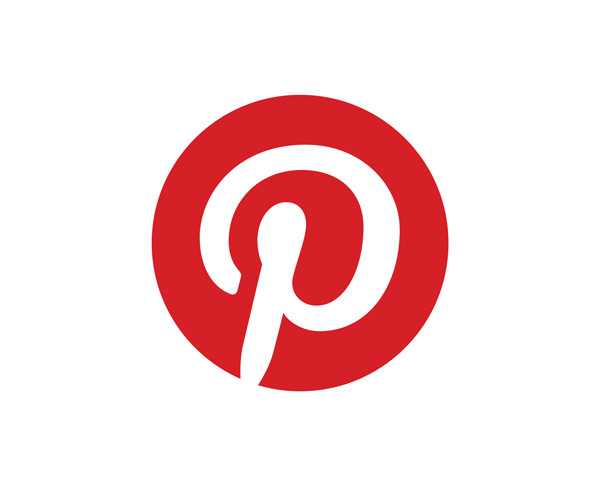 (Profiled at PsychCentral). The Bullet Journal – a journaling system profiled here a few weeks ago. The Bullet Journal also offers you history of your task items. The Daily Logbook Journal is a similar manual journaling system, also profiled here. The Done List – the task list in hindsight. Netscape founder Marc Andreessen calls it an “Anti-Todo list.” Also profiled in the journaling week posts. More in further reading list below. A lot of people like to check them off – with a big checkmark, or to cross them out. Which gives a really nice feeling, but isn’t quite what I’m on about here. Instead, the most productive method is to review the lists regularly. Of course, nowadays even the term “review” has been doctored a little, into the realms of the rating system. Do a search for “review” on google and it comes up with customer reviews, often with a star rating and a facebook stylee thumbs up or down icon. As writers, we often think review and immediately think reader review against our books, which is a very relevant promotional aspect to our work. This is one definition of review – a critical appraisal of a book, play, film, etc. published in a newspaper or magazine. Or all over the web and social media, per chance. But in this case, the definition of a review is – a process of looking back at a system or process, finding what was done well, what can be learnt, what needs changing and what is yet to be done. The formal definition – a formal assessment of something with the intention of instituting change if necessary. David Allen, GTD: Once a week look at the following seven days and select and schedule tasks and obligations. Allen also uses the review time to look at all the ideas captured (open loops) and to process these (filing, auctioning etc). Many people when describing Getting Things Done, focus on the capture methods, but David Allen says that “if you’re not doing your weekly review, you’re not doing GTD”. I agree with him – the weekly review is the key to the concept, and that of any valuable productivity practice. David Allen’s Weekly Review is a regular ritual of checking in and updating your task and project lists, to make sure you’re focusing on the right things in your work. Many people do this review daily. Some even run a twice daily review cycle – first thing in the morning they look at the list of tasks they’ve chosen for the day, and last thing after work, they take a look at what they’ve achieved for that day, and roll-over any tasks which weren’t completed. For bigger range projects (like writing a book) it also is a good policy to set a monthly review into your cycle – looking at what you have achieved, and what needs to be focused on for the month ahead allows you some adjustment to your overall strategy. A few weeks ago, I profiled two manual journaling methods which achieve a daily review at the end of day. Both the Daily Logbook concept, and the Bullet Journal accomplish a daily review of tasks done, whilst the Done List gives you another permutation to all these lists also. No matter the system, the cornerstone to getting the most out of your review process is to set it as a routine or habit. I set a regular reminder into my to-do manager (in my case, Todoist) which prompts me daily to achieve things like zero inboxes (of email and other inboxes like that of Evernote), process my open loops or idea files, and to review my task and project lists. I also run a weekly “review” session where I select some upcoming big rock tasks for the week ahead. Tasks like: “Draft Chapter 1-3” or “Draft the Death Scene” or “Get the MC’s character bio nutted out, damnit!” might appear in this weekly task list. When I’m in a large writing project (like, say, NaNoWriMo) I run many other lists. Writing 50K or more words in a month means I have to be much more organised. In this example, on a daily basis I tend to run two review sessions – once first thing in the morning, and once after finishing writing, to log progress and necessary follow-ups. Yearly Review – this is the big goals look-see, the new years resolutions type stuff. To be efficient , you’re going to select one or two of these goals, and strategise them into SMART milestones and series of tasks to be completed over the following year. Six Monthly or Quarterly Reviews – these are the mid-project reassessments. You will need to quantify what you’ve accomplished, and what still needs to be done. In some cases, you’ll also need to look at whether your projects and plans are still reasonable, or put them onto the backburner. These reviews are also a good time to look at your general work processes, routines etc, and to think about setting more efficient habits into your days. Monthly Reviews – progress tracking and planning for the next month of tasks. Also a good review time to look at your “someday” projects or tasks. Weekly Reviews – deal with all the new ideas or work, process these into relevant areas and context, deal with overdue actions and slips.Look at your current projects list to make sure every project has a next-action and also during that weekly review select a small set of tasks to achieve over the next week – the big rocks, and some good to-do’s if you find the time and opportunity to do so. Daily Reviews (first thing) – go over yesterday’s tasks, decide on what MITs will be tackled today. Daily Reviews (last thing) – go over today’s work, decide what must be tackled tomorrow. Log and celebrate progress. You can look at this combination as a today-tomorrow review. Going down this list, the reviews go longest to shortest ie. A weekly review can be done quite quickly, especially if you’re in the thick of a longer-term project, and doing daily reviews to log and look at progress. I would suggest spending 15-30 minutes on it, simply to go over your project lists, and make sure your list of actions or tasks will achieve progress towards the end project goal. 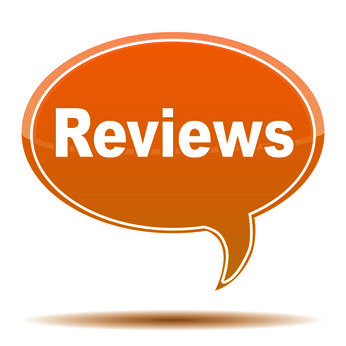 Daily reviews can be done in a couple of minutes. Michael Linenberger’s latest book The 1 Minute To-Do List, details a decision process which literally takes 60 seconds to decide on three different categories of action lists. Mentioned above, the two journaling systems I profiled, allow you to do a daily review in very little time – and with drawings or icons too. Weekly reviews in particular make me feel much more relaxed yet in control of things. Knowing that I have the week ahead planned at a high level, and have attended to all those open loops or niggly thoughts and ideas gives me good feelings. I personally don’t like to over-schedule tasks through a daily review because I find it confines me a little. Unlike many others, I don’t set the weekly review time in stone. Many people recommend doing a weekly review on Sunday evenings ready for the week ahead. I don’t write very often on weekends, nor do I open the laptop or log onto the internet, so doing a weekly review then would necessitate a complete change of mindset. So, my own weekly review is scheduled for first thing Monday morning. The key is to set a reminder or prompt for it. As said earlier, I tend to make this quite casual also, allowing for my often-packed personal schedule, and simply picking out a few top work tasks (or MITs) that I want to progress on. If there is any takeaway from all of this, it’s that setting a weekly review routine as a habit is one of the best ways to keep me efficient and productive at things I care about.